The winners of the NYIOOC World Olive Oil Competition were unveiled at a press conference in New York tonight. The results of the world’s largest olive oil competition were announced by Curtis Cord, the Olive Oil Times publisher and NYIOOC president before a packed room of 200 journalists, olive oil producers and food industry professionals, and an estimated 7,500 who watched the live stream of the event. One thousand entries were evaluated by a panel of 18 expert judges from 13 countries during the week, until just hours before the press conference. NYIOOC organizers closed registration in early March after an unprecedented 1,000 entries from 27 countries were registered. 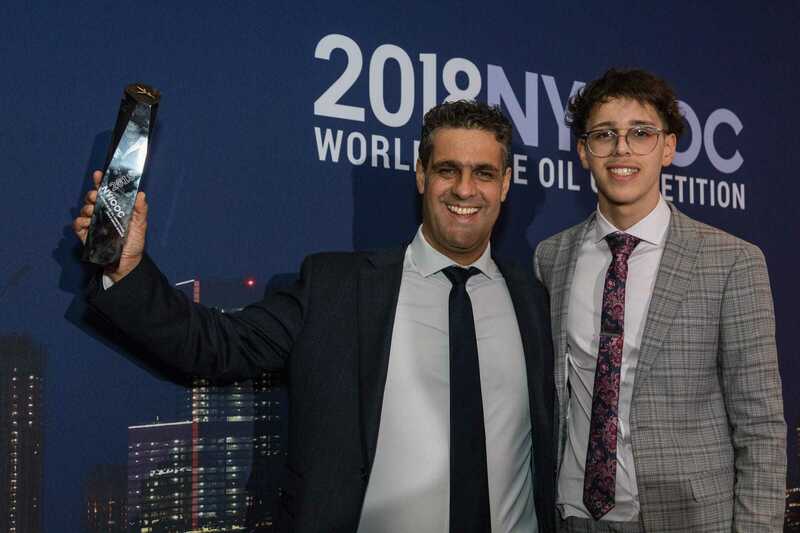 The NYIOOC World Olive Oil Competition is the largest olive oil quality contest and its annual listing of award winners is widely considered the most trusted guide to the year’s best extra virgin olive oils. 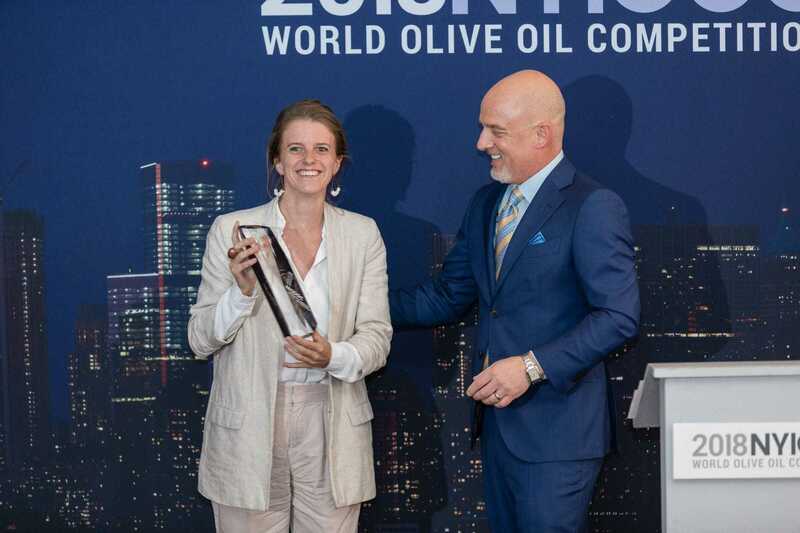 The complete list of award winners is presented on the Official Index of the World’s Best Olive Oils. Producers from Italy submitted the most entries with 253, followed by Greece with 152, Spain with 151, the United States with 132, Portugal with 67, Croatia with 45, Tunisia with 38, Australia with 28, Turkey with 27, Brazil (13) and France (12). There were entries from Chile, Lebanon, China, South Africa, New Zealand, Mexico, Slovenia, Japan, Egypt, Uruguay, Israel, Morocco, Albania, Bosnia and Herzegovina, Algeria and Argentina. More brands from more countries than ever before participated in the NYIOOC. “The sharp upward trend in quality from previous years is continuing,” Cord remarked. Producers cheered and smiled as they ascended the stage to receive their hard-earned awards. Producers from 22 countries received awards — two more than last year. 53 percent of the entrants won overall, including 152 Italian olive oils, 93 Spanish oils, and 73 oils from the US. One-third of Greek submissions took home awards, and 40 out of 45 Croatian olive oils won. 11 Tunisian olive oils and 12 Turkish oils garnered awards. More than half of Portugal’s entries succeeded in the competition. Eusebio Garcia de la Cruz Pascual’s family has been crafting olive oil for five generations. Their Amphora extra virgin olive oil, a handcrafted blend to celebrate 145 years of making oil in “El Cerrillo,” Spain, was awarded Gold. “It’s a fusion of tradition and innovation,” Pascual remarked about his organic olive oil. Richard Meisler, who owns San Miguel Olive Farm in California’s Central Coast, beamed as he held his sleek trophy. “Producing olive oil is hard work,” he said. “And this helps remind us why it’s worth it.” San Miguel’s Tuscan Gold Nectar and Tuscan Gold Supremo both received Gold. The complete results are presented on the official NYIOOC results website, bestoliveoils.com….